The 8th annual Chefs for Kids golf tournament is fast approaching. Be sure to sign up quick, as the tournament sells out each year. Plus, you don’t want to miss the famous ‘Fun Hole’ surprises. Brown Blankfeld Group – The Amazing Hosts! Charity fundraiser and great networking fun. This is a four-person scramble style tournament. Save $25 on registrations submitted before September 1. 2018. 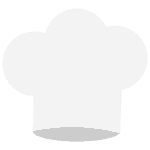 ← Vote Chefs for Kids!